Just who are these “elect”? According to the Catholic Encyclopedia, the “elect” are theologically equivalent to “chosen as the object of mercy or Divine favor, as set apart for eternal life.” In the Old Testament, these are the Hebrews, the “chosen people”; in the New Testament, the elect are members of the Catholic Church, the Body of Christ. Among Alaskans, Catholics are underrepresented; even the Catholic Anchor’s most generous 2015 estimate puts Catholics at 14 percent of the state’s population. And yet, we have two Catholics for U.S. Senators: Dan Sullivan and Lisa “I Stand With Planned Parenthood and Archbishops” Murkowski. WHO WILL BE AMONG THE ELECTED? Today’s statewide election features another two Catholics running for Governor: Mike Dunleavy and Mark Begich. Dunleavy states that the most important constitutional right “is the right to life, because if this right is not sacred, all other enumerated rights are meaningless. Being pro-life is at the very center of my understanding of constitutional rights.” Alaska Right to Life endorsed Dunleavy. Begich, on the other hand, states that Alaska was “ahead of the curve” when it legalized abortion in 1970, and that, “as the only pro-choice candidate running for Governor, I will continue my record of fighting for women to have . . . the right to make their own health care decisions.” Planned Parenthood endorsed Begich. Guess which candidate spoke at a Catholic Church this past Sunday? Third, if–I say IF–Mr. Begich was speaking WITHIN AND DURING the Holy Sacrifice of the Mass (and I dearly hope that he was not, for the sake of all involved), there are likely additional consequences, which I plan to address in another post. IN SUM, PLEASE PRAY FOR ALASKA; PRAY FOR OUR ARCHBISHOP; and PRAY FOR OUR ELECTED CATHOLICS AND THOSE CATHOLICS SEEKING ELECTION, THAT, IN SEEKING A WORDLY ELECTION, THEY DO NOT FORFEIT THAT ELECTION WHICH IS ETERNAL. Please also consider respectfully asking Archbishop Etienne to look into Mr. Begich’s untoward appearance in the sanctuary of a Catholic Church. This visionary exchange was not an obscure rumor from a small backwater village, but from Pope Leo himself, in 1884, after he collapsed saying Mass one morning in the Vatican. When he came to, he immediately composed the famous Prayer to St. Michael and ordered it read aloud at the end of every Mass. Many Catholic parishes still do. Just when this hundred years began, and whether it was a literal hundred years, we do not know, but others insist that we do, see below. But fast forward to the Fatima visions of 1917, warning of Russia’s role in the destruction of freedom and the Church, and then when Joe Stalin ordered the historically acknowledged infiltration of the Russian Orthodox Church in the 1920s. That he ordered the same to be done to the Catholic Church was only logical. Himself a former seminarian, Stalin realized that homosexuals would be his best agents, men who had lost any sense of natural law, sacrilege, conscience, or fear of Judgment. The Fatima visions of 1917 asked for the pope and the Church to consecrate Russia to the Blessed Virgin, and reiterated in 1929. Why this was not done by Pope Pius XI or XII is a matter of endless speculation, but it never was. The fact that Pope John Paul II consecrated “the world” to her in 1984 indicates that the hundred years of Pope Leo were literal, and that communism’s satanic influence had successfully escaped the boundaries of the USSR, even while it was suffocating from the internal inconsistencies of Marxism. Recognizing this, John Paul did not waste time closing a barn door after the horses had escaped, but addressed the grim reality that the entire world was now in a dire grip that needed miraculous intervention. Dietrich privately interviewed ex-communist Bella Dodd, an admitted Stalinist agent, after she had testified before Congress in the 1950s. She returned to Catholicism under the aegis of America’s most famous Catholic in America, Bishop Fulton J. Sheen. Dodd said that she herself placed 1200 communist/homosexuals into American seminaries and knew that the number was over 3,000 from the work of other agents. Alice, about thirty years Dietrich’s junior and now in her 90s, gave a long interview with the Catholic news site Church Militant, the thorn in the side of the USCCB. She stated that as each subsequent generation of homosexual prelates wormed themselves into the hierarchy, they made sure that faithful seminarians were ousted and good priests were punished and marginalized, even while pliant ones and those who were seduced were brought into the matrix. They would be rewarded with influence and appointments, then coached into promoting the denigration of the rich legacy of Catholicism. The earthquakes of confusion initiated by Pope Francis are now seen in the light of this homosexual or Lavender Mafia. It explains the marginalization of faithful Catholics who have begged for relief from the many ills plaguing the Church, from liturgical abuse, pulpit heresies and weak faith formation programs and instructors. This also includes the mysterious staying power of “Catholic” politicians, who have worked in concert promoting the sexual revolution, socialism, homosexuality, contraception and abortion. Even as prayers were said in churches throughout the United States this week, the focus was only on the victims, unquestionably just and necessary but utterly incomplete about what the true malady is that is infecting the Church. Not once did the prayers or letters mention the word “homosexuality” and refused to confront the foundational evil that has infected the Church: bishops and priests who are practicing homosexuals themselves, engaging in continuous violations of their vows of celibacy with other adult men, or protecting those who are, whether willingly or through intimidation. The almost daily exposure of this is likely an answer to prayer. Catholicism has an uncanny ability to resurface after every crisis brings it to the edge of annihilation. Since Christ’s Passion, this has been discovered in roughly three-hundred year increments by the Romans, Arians, Moslems, Norsemen, Albigensians, Protestants, and the French Revolutionaries. Unless these are apocalyptic times, we await the certain rebound of the Church. It will be smaller, but stronger. It is the solution Jesus took when his disciples walked away from him in John 6 because of His “hard sayings”. It might even reunite much of Christendom. It will take a while. NOTE: This essay first appeared in Joe Miller’s e-letter, “Restoring Liberty,” and reappears here with permission of the author. CCC 1867: The catechetical tradition also recalls that there are “sins that cry to heaven”: the blood of Abel, the sin of the Sodomites, the cry of the people oppressed in Egypt, the cry of the foreigner, the widow, and the orphan, injustice to the wage earner. [NB: Most catechisms combine the Israelites’ cry with the orphans, widows, and aliens under “oppression of the poor”; hence, the number four]. For those of you who have been under a rock for the last month, Pope Francis accepted the resignation of Cardinal McCarrick from the College of Cardinals after allegations of homosexual abuse of young boys. McCarrick is the first Cardinal to have his cardinalatial powers removed in almost 100 years. Then, this past weekend, Carlo Maria Vigano, former apostolic nuncio to the United States, publicly alleged that Pope Francis knew of Cardinal McCarrick’s serial homosexual abuse well before this time — at from June of 2013, when Vigano met with him in person. Giving a press conference on a jet plane, Pope Francis refused to address the allegations. In a papacy that has been marked by an untethered approach to questions of morality, theology, and a purportedly “impromptu, pastoral” tone, this is uncharacteristic. Or perhaps it reveals the true character of this papacy. Either way, our dear Holy Father needs prayers. As Anchorage Archbishop Etienne has noted on his blog, McCarrick’s removal was “an unprecedented step signaling the gravity of these reports.” True. But removal does not even begin to address a looooooong line of inferential facts: that (1) McCarrick had been doing this for a long time, (2) other bishops knew about it, but either did nothing or actively covered up his misdeeds, (3) other American bishops had no problem letting McCarrick continue to operate as the face of the American Catholic hierarchy, particularly during the 2002 scandal eruption, (4) journalists and priests who attempted to address this story were intimidated, (5) a homosexual subculture (if not mafia, replete with the omerta code) exists in the American hierarchy, and (6) is spread throughout the Church, even into Rome. One insight – formerly swept aside, but now addressed by Church Militant – was that the “seeding” of the homosexuals in American seminaries began long ago by Communist operative and Catholic convert Bella Dodd. Interestingly, it was Bishop Sheen who piloted Dodd back into the arms of Holy Mother Church. One imagines Dodd’s conversion story firing the vehement furnace of Bishop Sheen’s famous blasts against Communism. But it is also remarkable that Sheen seems not to have addressed the matter of homosexuals in Catholic seminaries, at least externally. Even more remarkable is Bishop Sheen’s long-suffering silence in the face of Cardinal Spellman’s attacks on him, now that there is accumulating evidence that Spellman lived a closeted homosexual life as Cardinal of New York. So what does this all mean for Alaska Catholics? I am not sure, other than this vileness has, indeed, cried to heaven for purification. I do not know whether the seminaries attended by our Alaskan priests were corrupt, but I have heard anecdotal evidence that they were, in the recent past, hotbeds of homosexual activity. I do not know whether any of our Alaskan bishops are part of the homosexual network, nor if they have been prevented from proclaiming the Church’s teaching on homosexuality because of threats of blackmail to expose an active homosexual lifestyle. But these things now seem increasingly credible. Of this I am sure: that God, Triune God, Creator and Origin of all life, will not be mocked. Nor will the Divine Son permit His Bride, Holy Mother the Church, to be forever violated by such craven, perfidious, demon-infested men. 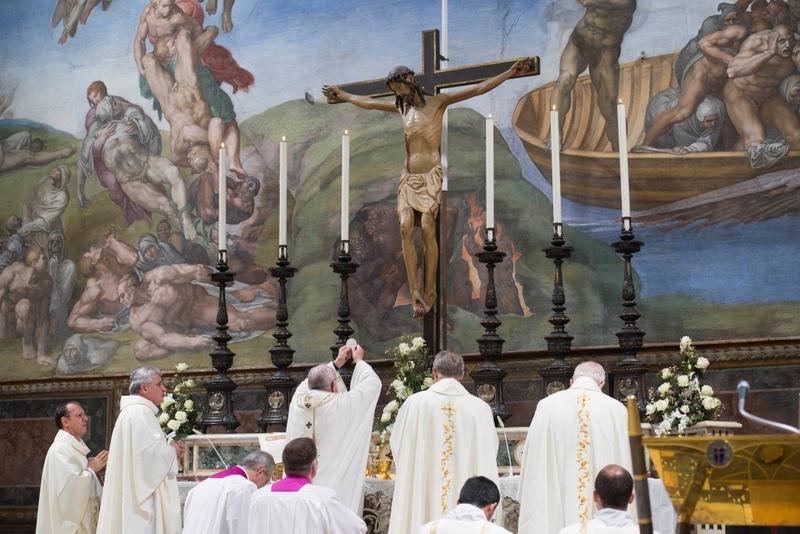 And I am sure that we have received such predatory clerics as our “shepherds,” at least in part, because of our own failures to live a life according Our Lord’s injunction to deny ourselves, take up our crosses, and follow Him. 1. The Church’s inability to govern its own corrupt hierarchy will force the intervention of public authority (this has already happened in Chile, and seems likely to happen in Honduras). Rather than decry this intervention of the State into Church matters, faithful Catholics – justly enraged – will cheer it on. 2. The global aspect of the corruption – which now seems to extend even unto the Roman Pontiff – will result in a global intervention. And the likeliest apparatus to undertake this is the United Nations. Once the bulwark of the Church has been removed as an efficacious brake on global agents of social change (e.g., George Soros), I tremble for what may follow. May God have mercy on us, cleanse Holy Mother Church, and restore and preserve the just sovereignty of the nations of the world! No, tax dollars are not charitable giving. What are you doing?!? Render unto Caesar what is Caesar’s, dogg! It is one of the six precepts of the Church that a good Catholic must “assist with the needs of the Church so that the Church has what is necessary for divine worship, for the works of the apostolate and of charity, and for the decent support of ministers.” Can. 222, s. 1. A good Catholic is also obliged to promote “social justice and, mindful of the precept of the Lord, to assist the poor from their own resources.” Can. 222, s. 2. And what is “social justice”? “By this law of social justice, one class is forbidden to exclude the other from sharing in benefits. Hence the class of the wealthy violates this law no less, when, as if free from care on account of its wealth, it thinks it the right order of things for it to get everything and the worker nothing, than does the non-owning working class when, angered deeply at outraged justice and too ready to assert wrongly the one right it is conscious of, it demands for itself everything as if produced by its own hands, and attacks and seeks to abolish, therefore, all property and returns or incomes, of whatever kind they are or whatever the function they perform in human society, that have not been obtained by labor, and for no other reason save that they are of such a nature.” (No. 57). “A person’s superfluous income, that it, income which he does not need to sustain life fittingly and with dignity, is not left wholly to his own free determination. Rather the Sacred Scriptures and the Fathers of the Church constantly declare in the most explicit language that the rich are bound by a very grave precept to practice almsgiving, beneficence, and munificence.” (No. 50). Get that? If you have superfluous income, the Church’s perennial teaching is to give it to the poor (almsgiving), the Church (beneficence), or reinvested to provide more jobs (munificence). Not the State, nor the Church through the State’s threat of force. As an Alaskan, U.S. citizen, taxpayer, and loyal son of the Church, I say that it is not the right thing to do to take my tax dollars and give them to CRS. There is NO constitutional authority for Congress to use the power of the purse for charity, as Davy Crockett discovered over 150 years ago. And a tax is a tax, not a tithe. As Dinesh D’Souza and others have pointed out, the volitional act of giving is destroyed when the State’s gun is forcing the wallet to open. Ergo, what formerly was a corporal work of mercy becomes an act of more or less reluctant obedience — and not to the Church or its apostolic succession, but to the State! And, finally, CRS has its own, severe issues with following Catholic doctrine regarding contraception. And these issues won’t go away. Nothing is easier than to give Christian asceticism a Socialist tinge. Has not Christianity declaimed against private property, against marriage, against the state? Has it not preached in the place of these, charity and poverty, celibacy and mortification of the flesh, monastic life and Mother Church? Christian Socialism is but the holy water with which the priest consecrates the heart-burnings of the aristocrat. — Karl Marx, Communist Manifesto, Ch. III. Please say a Hail Mary, right now, for our Archbishop and our congressional delegation – especially the two Catholics! Alaska Sen. Lisa Murkowski may well become a center of national attention as debate heats up over the next justice for the U.S. Supreme Court. With Justice Anthony Kennedy stepping down after 30 years on the bench, there is now an opportunity for President Trump to appoint a solidly pro-life justice to the high court, a move that would give the conservative block a clear majority. Kennedy was long considered a “swing” vote as he often sided with decisions in favor of gay marriage and abortion. His replacement could allow the court to finally roll back key aspects of Roe vs. Wade, the court ruling that ensured legal abortion throughout the nation. With Republicans holding a extremely narrow majority in the U.S. Senate Murkowski has emerged as a critical vote in confirming a new Supreme Court justice as activists from both sides of the abortion debate lobby legislators. A self-identified Catholic, Murkowski is also a supporter of abortion rights who has shown a willingness to disregard Catholic teaching on the sanctity of human life in the womb and the right to life of unborn babies. National reports this week indicate that Murkowski will be under immense pressure from both sides when she deliberates how to vote on the next Supreme Court nominee. This is no time to sit on the sidelines or quietly hope for the best. Each and every pro-life Alaskan needs to contact Murkowski and respectfully but forcefully reiterate that we want her to vote for a conservative judicial nominee who will uphold the original intent of the U.S. Constitution. The pro-abortion side will most certainly make a strong effort to influence Murkowski. We cannot let our voice go unheard. Please contact Murkowski through letters, phone calls and emails. The more correspondence the better. She must be made aware of the fact that most Alaskans are pro-life, we are counting on her vote and we are watching closely to see how she votes. Click here to contact Murkowski. How many couples get married today already having decided how many children they will have? How many decide they do not even want children? Or, sadly, how many couples when they conceive a child decide it is ‘inconvenient’ and do not accept this gift of new life? Without judging any of those particular situations, I simply beg the questions: Can we not be more open to God? to God’s plan? Do we have the faith and love to accept God’s will in our lives, even when it ‘blows up’ our plans and trust that God’s plan is better than our own? Regrettably, these questions do not seem to affect Alaska’s most prominent lay Catholic, who has taken to the state’s most prominent public forum to share that she doesn’t “adhere to all the tenets of my faith,” “I’m not hesitant to question when I think that my church, my religion, is not current,” and that “if you don’t like abortion, the best way to deal with it is . . . through contraception“? Abortion and euthanasia are thus crimes which no human law can claim to legitimize. There is no obligation in conscience to obey such laws; instead there is a grave and clear obligation to oppose them by conscientious objection. In the case of an intrinsically unjust law, such as a law permitting abortion or euthanasia, it is therefore never licit to obey it, or to “take part in a propaganda campaign in favour of such a law, or vote for it”. 6. When “these precautionary measures have not had their effect or in which they were not possible,” and the person in question, with obstinate persistence, still presents himself to receive the Holy Eucharist, “the minister of Holy Communion must refuse to distribute it” (cf. Pontifical Council for Legislative Texts Declaration “Holy Communion and Divorced, Civilly Remarried Catholics” , nos. 3-4). This decision, properly speaking, is not a sanction or a penalty. Nor is the minister of Holy Communion passing judgment on the person’s subjective guilt, but rather is reacting to the person’s public unworthiness to receive Holy Communion due to an objective situation of sin. “Expecting a minister of Holy Communion to make these judgments would create great pastoral difficulties. We do not want to encourage confrontations at the altar rail with the Sacred Body of the Lord Jesus in our hands. This could create unmanageable burdens for our priests and those who assist them and could turn the Eucharist into a perceived source of political combat,” the interim report added. “In light of these and other concerns, the task force urges for the most part renewed efforts and persuasion, not penalties,” Cardinal McCarrick’s report also said. I call heaven and earth to witness this day, that I have set before you life and death, blessing and cursing. Choose therefore life, that both thou and thy seed may live! “The steady decline in Catholic school population has been the subject of a vast amount of comment, most completely off the mark. The Catholic population in the United States did not suddenly plummet to the bottom of the economy after 1971. If anything, the general income level of Catholics after 1971, when the decline of Catholic schools began to take hold, was as good or better than their level of income in the 1950s and ’60s, when they–infinitely better off than their immigrant ancestors who founded American Catholic schooling–had managed to sustain a vast number of schools throughout the nation. Indeed, during the 1950s and into the late 1960s, new Catholic schools were being built. –Wm. Bentley Ball, Mere Creatures of the State (Crisis Books, Notre Dame, IN: 1994). Here is a good visual of a restoration of the sense of the sacred. May Alaska’s bishops and priests hasten this restoration in our fair state, through the intercession of St. Therese and Our Lady of the Snows! Certain Alaskan ecclesiastical circles have recently revived the old “Heart v. Head” chestnut, e.g., “for too long we have simply focused on the intellect, and not done nearly enough to engage the hearts of believers.” Or again, the “starting point is not the teaching, but the person of Jesus.” Along with that fusty old Baltimore Catechism, it now seems that the Divine Commission to teach all nations has outlived its usefulness. The heart has its reasons, which reason does not know. We feel it in a thousand things…It is the heart which experiences God, and not the reason. This, then, is faith: God felt by the heart, not by the reason. Feelings…whoa-oh-oh…nothing more than feelings. See? Pascal wrote that, not Morris Albert. According to Jansenius, man’s free will is incapable of any moral goodness. All man’s actions proceed either from earthly desires, which stem from concupiscence, or from heavenly desires, which are produced by grace. Each exercises an urgent influence on the human will, which in consequence of its lack of freedom always follows the pressure of the stronger desire. Implicit in Jansenism is the denial of the supernatural order, the possibility of either rejection or acceptance of grace. Trust your feelings. Unless they involve Magisterial teaching. Jansenism thus leads to a Calvinist idea of predestination. The human will is overwhelmed, determinism ascendant, and man is not free. Rather than love – that is, man freely willing the good of another person – Jansenism produces an anxiety whereby a man is uncertain whether he is among the saved. And how does one know whether one is saved? Says Obi-Wan, er, Pascal: trust your feelings. There are, of course, echoes in the Gospel that make the heart-first, head-later ideology initially attractive. Our Lord spoke at length about the human heart: Where your heart is, there also will your treasure be. Love the Lord your God with all your heart. Blessed are the pure of heart, for they shall see God. Our Lady, too, pondered all these things in her heart. But there is a distinction with a difference here. The recent Alaskan trend views the heart essentially as sentiment, an effusion of “warmth, compassion, mercy, and love.” Such gushing language calls to mind the embrace offered to Wormwood by dear Uncle Screwtape. 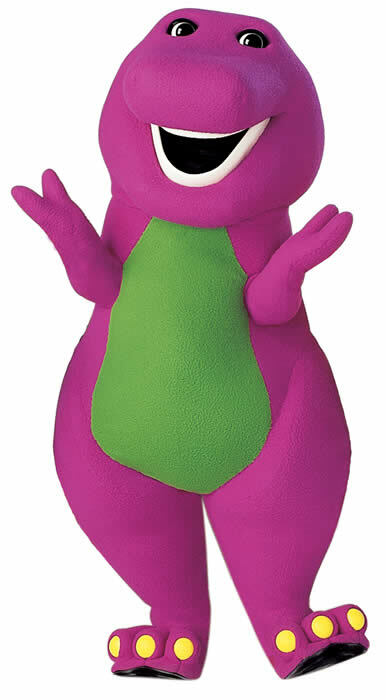 Or, Barney. The Gospels, on the other hand, regard the heart as the utter interiority in man – that is, that ineffable inner sanctum wherein one either accepts or rejects God. What comes out of the mouth proceeds from the heart, and this defiles a man. This people honors me with their lips, but their heart is far from me. You shall indeed hear but never understand, for this people’s heart has grown dull. When Gentiles who have not the law do by nature what the law requires, they are a law unto themselves, even though they do not have the law. They show that what the law requires is written on their hearts, while their conscience also bears witness and their conflicting thoughts accuse or perhaps excuse them. Please pray for the Pope and our Bishops and Priests, that they may preach and teach Christ and His doctrine – not sentiment. What kind of effect does gender theory have on society? Gender theory affects society on two levels. On the political and legislative level, gender theorists pressure for change in the physiognomy of marriage and family. They call for the legalization and social acceptance of new models of marriage and family in the name of progress, tolerance and equal rights, including the right to adopt children. This so-called “progress,” however, will only contribute to the self-destruction of the human person and society (cf. Benedict XVI, Christmas Address to the Roman Curia 2008). On the cultural level, gender theory seeks to change the governing mentalities, beginning with those most vulnerable in indoctrination: children and adolescents. Under the guise of educating them in tolerance, they are encouraged to “explore” and “experiment” with their sexuality so that they can choose that which best suits them. Why does the church denounce gender theory as an ideology? What is this “human ecology” that the church promotes? In her responsibility towards creation, the church must first and foremost protect mankind, which forms part of creation. Human ecology means respect for the human person and “the natural and moral structure with which he has been endowed” (CA 38). This includes the promotion of the values or femininity and masculinity as the foundation of the humanization of persons. “Every outlook which presents itself as a conflict between the sexes is only an illusion and a danger: it would end in segregation and competition between men and women” (MW 14). Gender theory has been referred to as an “ideological colonization.” What does this mean? What should Christians do to counteract the negative influence of gender theory? Antonio Malo is Professor of Philosophy at the Pontifical University of the Holy Cross, Rome. The goal of AKCatholics4Truth is to defend the truth, back worthy Catholic initiatives in Alaska, support our priests and seminarians, encourage a pursuit of holiness, and bring light to areas of darkness — both in the world and in the church.